Nature expresses itself magically in waves. From the movement of electrons and photons to the motions of the ocean, waves are the way that nature dances. Industries have natural waves, too. Expansions and contractions, movements of various orders that have harmonic amplitudes and frequencies, with the occasional rogue crescendo that can be highly disruptive. Sometimes these patterns can be highly predictable, even comforting, and have positive effects in moving an industry forward. Other times, the inexorable impact can be menacing and destructive, requiring a reset of industry standards, culture and goals. Our industry is in the throes of such a pattern right now, and every participant must choose how to ride these waves. 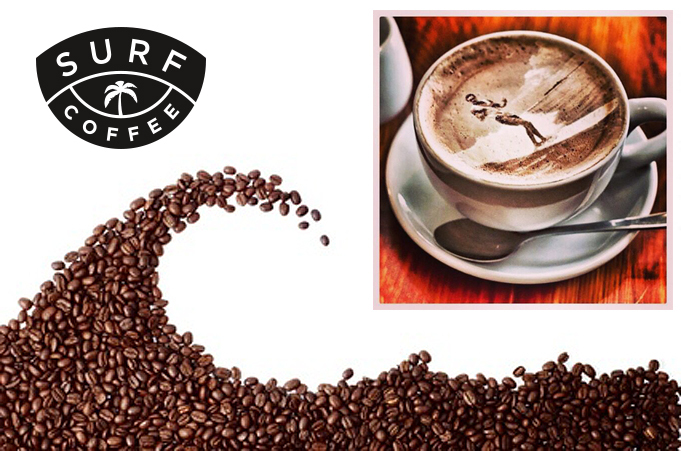 The state of the coffee industry has had various wave monikers applied to it over the past decade, and as of last year it has been suggested that we have now entered the 4th Wave. About time; but really, what does that mean? If the first wave of our industry was the commercialization of coffee following World War II (which seems more like a low trough between waves), and the 2nd wave was the growth of the cafe culture and specialty coffee industry from the early 80's through the millennium, then the distinction of the 3rd wave was characterized by intense focus on quality - from farm through roast to cup. The 4th wave has been defined as the practiced interdependence of the supply chain, with balanced sharing of risk and value from origin through consumption. It is an optimistic vision of the evolution of our industry and we can only hope that it is not too late to ensure a sustainable future for our beloved product. So, where did coffee quality shake out in all this wave making? Certainly on almost ever)' front and from any perspective it is easy to contend that we are all better off now versus thirty years ago, despite the challenges facing our industry. The availability of great greens, skilled and conscious roasters, talented and passionate baristas can be found in every large city and suburban area, and even in the most out-of-the-way rural hamlets. It is AWESOME. Does everyone have wonderful coffee? No. It is still the minority of brown beverage sold that could be deemed drinkable by the discerning palate; but it is a hell of a lot better than it used to be. There are still many challenges to coffee quality and the critical role it plays in our industry, and no doubt that the biggest risk is long term sustainability of supply. The published data that puts the average age of coffee farmers at 50+ is alarming. The difficulty of receiving commensurate pay annually for producing a great coffee is discouraging the next generation from keeping the family in farming. This should be a call to action for everyone in the industry to rally around collaboration in our supply chain so that the next generation of coffee drinkers have something to put in their cup. There is another industry challenge that occupies the consciousness of most roasters: single-serve coffee. Just to be clear, single-serve is about the dominance of the K-Cup, referred to recently by an industry colleague at the NCA Summit in October as "the big elephant in the room." It is in fact such a profound rogue wave (or more accurately, Tsunami) for our industry, that it has affected and will probably permanently alter the structure of how coffee is sold and consumed here in the United States. Its success as a disruptive technology, dominating the sales of coffee brewing appliances for consumers the last few years, and rapidly securing a 15%* share of mouth' with continued accelerative growth, cannot be ignored by anyone in the coffee business. It has been forecasted that potential terminal velocity of consumer adoption could be as much as 40-50% of total households, where 85% of coffee is consumed. The success of the single-serve system is based on convenience, variety and quality that consumers found has great value, equivalent to paying $30-60 per pound of coffee. Whether the interlock technology of the Keurig 2.0 is able to secure total proprietary dominance for KGM in the making and selling of K-Cups will be tested in the courts and on market shelves over the next few years. In the meantime, other appliance manufacturers and non-Keurig licensed roasters are seeking to garner some of that share of installed and still growing brewer base and use, before they get swamped. Keurig has such a huge lead on manufacturing capacity and efficiency that "system compatible" packagers will be at a serious competitive disadvantage. And the barriers to entry for a new single-serve system are extraordinary. Keurig itself could not overcome their own K-Cup based system with the "better" VUE product launched several years ago, despite a massive investment in capital and leveraging of its distribution and marketing muscle. Small to medium sized roasters may be locked out of the system on the basis of economics. So what do you do when faced with the onslaught of a Tsunami? Well, the survival manual would suggest that you grab only the valuable possessions that won't slow you down and you RUN for high ground. If you don't have a big enough surfboard (metaphorically) to get up and ride the huge wave, the best advice is to make a secure spot on higher ground. Anytime that a new high water mark becomes the norm, then you have to move camp even higher to survive. Our human ancestors have proven their adaptability to changing environments, evolving through catastrophic meteors, ice ages and flooding. The landscape may change permanently, but we can still figure out how to thrive. Specialty coffee has had its success principally on the basis of quality. 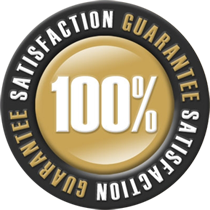 Quality of the product and experience can always be raised to a higher level. Is it a challenge to teach consumers how to appreciate fine coffee enough that they will learn, or relearn, how to make a French Press or AeroPress at home with a fresh roasted specialty coffee? Yes, it is. But if the new tide level of satisfaction is that the resulting quality needs to be greater than the convenience of them choosing to stick a single-serve cartridge in a brewer and pressing a button, then get to it. It is a matter of survival. Remember, every wave is the synergy of zillions of water molecules acting together to express themselves according to the magic of natural forces. Our industry is fairly magical, too, in that the natural collaboration and interdependence of all of the players - growers, traders, roasters, retailers and consumers - determine the value and quality of our product. We may not be able to stop or ride every big wave that conies through, but we can certainly all do our part to contribute to each others success to make the industry as a whole continue to evolve positively. We owe that to coffee.